How can softball afford a million dollar player? Last week the National Pro Fastpitch’s (NPF) Houston-area Scrap Yard Dawgs signed one of the world’s best softball players, Monica Abbott, to a $1,000,000.00 contract. (I like the look of all the zeroes and wanted you to count them, so I refused to spell it out.) The NPF expansion team and Abbott signed what is believed to be one of the largest contracts ever paid by an American franchise to a professional female athlete. When you sit and think about it, it’s a pretty big deal. This contract didn’t come in more popular sports like basketball or soccer. It comes in softball; a sport that was taken out of the Olympics after the 2008 games in Beijing. This contract is being paid to an athlete who’s probably more popular in Japan than she is in the United States. This contract comes in a league where players on average make $5,000 to $6,000 per season. And this contract comes in a league that most Americans didn’t even know existed. It’s an incredible contract for an incredible player, and should be celebrated as such. But as I started talking to people about Abbott’s whopping contract, I noticed that a few common questions started to arise: Who is she and is she really that good? Can softball really afford to pay her that much? Why can’t WNBA players make that much? Can other leagues make this sort of thing happen? These are all very…very valid questions. If you had the same or similar ones, keep reading because you gon’ learn something today. Who is she and is she worth it? Monica Abbott is the truth. She is a 4-time NPF Champion and 3-time MVP. She is a 4-time Japan Softball League Champion and 3-time MVP. In 2008, she earned a silver medal at the Olympics and became the first to throw a perfect game in the Olympics. She’s won World Championships and World Cups. 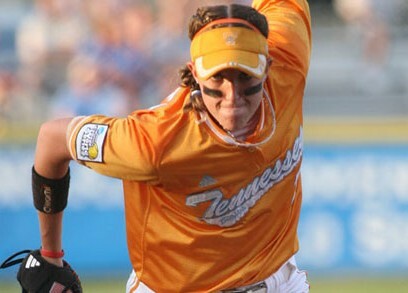 She played softball at the University of Tennessee and smashed records across the NCAA. She has a record 189 victories, 2,440 strike outs, 112 shutouts and 724 single-season strikeouts. As a Vol, she pitched 23 no-hitters and 6 perfect games. These stats are really just the tip of the iceberg, but they’re proof enough that this lady has game. Beyond her talent, she has a global presence. 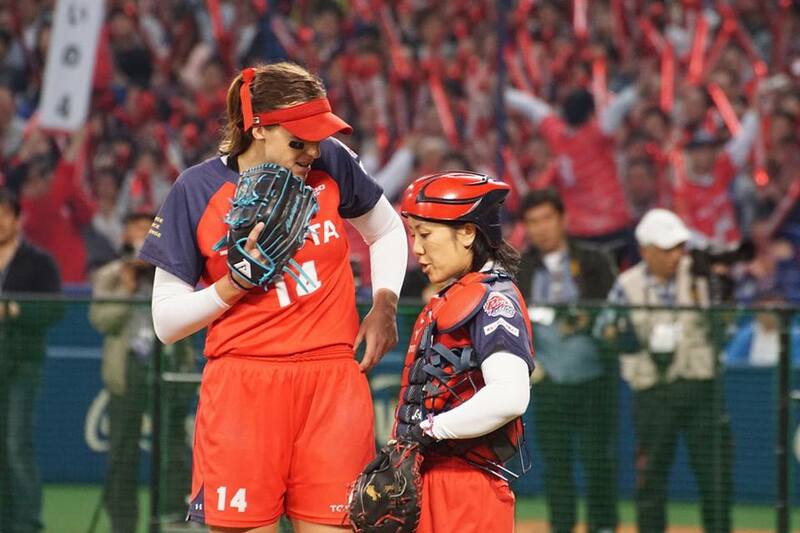 She has excelled in Japan where she plays for Toyota and been embraced by the Japanese fans of softball. In addition to her international success and fan base, she has proven to her sponsors, which include Advocare, Wilson, and Gorilla Grip, that she is a worthy investment. She wins and wins some more and then she finds time to give back. For instance, Abbott maintains a Scholarship Fund that helps cover the tuition, housing, books and other necessary fees for 2 graduating seniors who played sports in college. 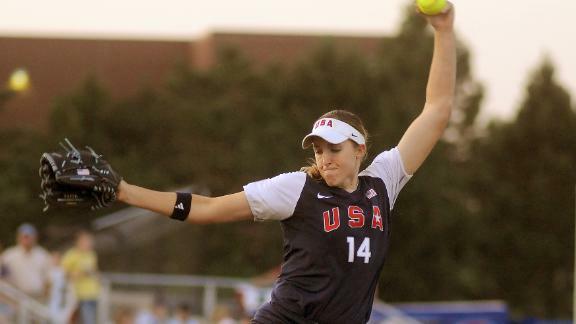 There’s no question that Monica Abbott is worthy of a million dollar contract. Talent and fan base aside, softball’s professionals are barely known and the league doesn’t make that much; how can the Scrap Yard Dawgs afford to pay her $1 million? They’ve gotten creative. The 6 teams in the NPF (which has been around for 13 years) have a salary cap of $150,000. That $150,000 has to be spread across at least 18 players. That usually plays out where only a select number of women earn more than $20,000 and most earn around $5,000 to $6,000 for the three-month-long season. Abbott’s six-year contract sets her base salary (the part that’s pulling from the salary cap) at $20,000 annually. The other $880,000 comes in the form of bonuses which kick in when fan attendance at some of the games reaches 100 people. These bonuses are triggered regardless of where the game is played or if Abbott pitches at all. They’ve essentially made Abbott a partner in the franchise. Abbott makes more money when the Scarp Yard Dawgs make more money. The contract gives Abbott some more skin in the game. In addition to encouraging her to show off her talent and maintain her fans and sponsors, the contract encourages Abbott to work to increase fan attendance, awareness about the league and general support for women’s professional softball. Her contract will incentivize her to help grow the sport now not after she retires. Can this work for other sports? The jury is still out as to whether the Scrap Yard Dawgs will actually be able to pay Abbott’s full contract. If the contract is successful, I think there’s a chance that similar contract terms could work in other sports, but there may have to be some changes to the way franchises and leagues are run. In 2009, one of the world’s most famous female soccer players, Marta, signed $1.5 million contract to play in the Women’s Professional Soccer (WPS) league. By 2012, the teams associated with the contract and the WPS had folded. Marta’s contract didn’t hinge on her bringing fans to the matches, the matches weren’t being played in smaller facilities owned by the franchises, and the WPS didn’t do much in the way of promotion. Here, we seem to have a bit of a perfect storm. Abbott only makes a bunch of money if the team does; the Scrap Yard Dawgs own their and other facilities, and NPF (who has a partnership with the MLB) has shown that it has been able to sustain and promote itself for the past 13-years. So in order for other sports to pay their athletes hefty contracts, they may have to cut back on some operational costs (i.e. leases at large facilities), increase marketing efforts and make partnerships with the athletes. Many women’s professional leagues are tied to and follow the models of their male counterparts. The problem with that is that men’s leagues have had successful, profitable existences for much longer than the women’s leagues. So what’s good for the goose isn’t going to be good for the gander. If women’s sports are going to increase their fan bases, revenues and players’ salaries, leagues are going to have to get creative. Playing in the same big stadiums under contracts strictly based on talent and past revenue isn’t going to work for women’s sports right now. What’s going to work is making the athletes partners in the success of their sports. The WNBA’s first, first-round draft pick, Tina Thompson, recently discussed how she negotiated a six-figure contract in her first year with the WNBA and how each and every player felt it was their duty to help sustain and grow the WNBA. Players made it a point to connect with fans and grow the brand of the WNBA and the initial years of the WNBA saw the highest attendance numbers. As players have felt less obligated to promote and connect, attendance and revenue have declined. In fact, 2015 saw record low attendance at WNBA games. Perhaps giving players a more direct stake in attendance would encourage them to do more to promote the WNBA and the game overall. Maybe then the league could afford a million dollar contract or two. Maybe I’m wrong, but we’ll see what Monica Abbott and the Scrap Yard Dawgs have to say about that. Tell us what you think below. Will Abbott’s contract be a success? Do other women’s leagues need to take note? Be sure to follow GladiatHers.com on Twitter, Instagram and Facebook.